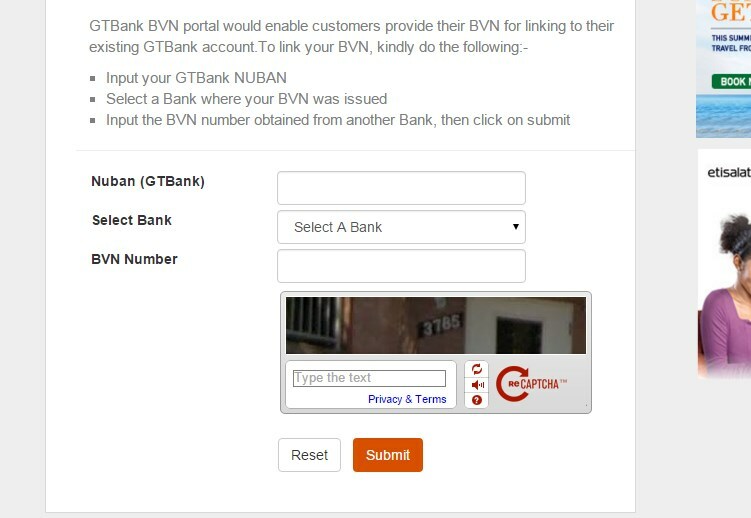 same, GTBank account holders that have registered for BVN in another bank can quickly link their BVN to their account with GTBank in less than a minute online. GTBank has created a secured online platform to enable customers update their account with their Bank Verification Number. To link your BVN to your GTBank account, click here to go the GTBank page. You will only be required to provide your GTBank NUBAN account number, name of bank where you registered for the BVN and the BVN Number. NB: This is not a scam page, i am aware of various fraudulent e-mails and text messages circulating online about linking BVN but this particular one is NOT one of them and you may call GT Connect for verification. Got Any contribution to this post? kindly share it via comments.